The Skilled Motorcyclist Association – Responsible, Trained and Educated Riders, Inc. wants motorcycle riders, motorcyclist safety advocates and policy decision makers to make responsible decisions based on factual knowledge and the conclusions of quality research, therefore, our mission is to gather, examine, catalogue, share, post and distribute motorcyclist safety factual information and research and to advocate for the use of such knowledge as the basis of decisions. to provide a medium of communication, expression, information, and program implementation for motorcyclists who value research, education, and skill training related to proficient motorcycle riding and risk-reduction measures. to be a model, for individuals new to the world of motorcycling and for the general public, of smart riders, riding smart. 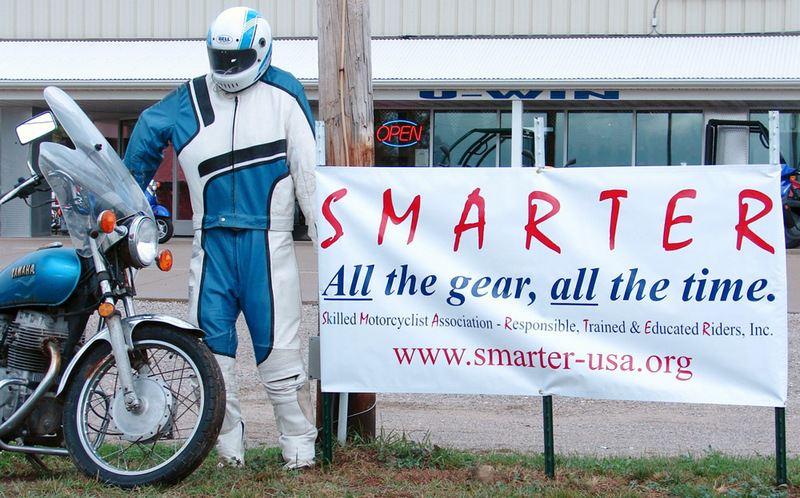 to be the voice of and to represent to the public the positions of responsible, trained, and educated motorcyclists. to inform regarding the role of regulations and governmental actions as components of a comprehensive motorcyclist safety program, such as mandatory helmet laws, licensure, road construction, etc.